Gravity Runner 2 - this is the second map in a series of maps with fast parkour. Here you do not have time to think and consider your next move for too long, because if you think about it for a second, you will fall down into the endless void and die. 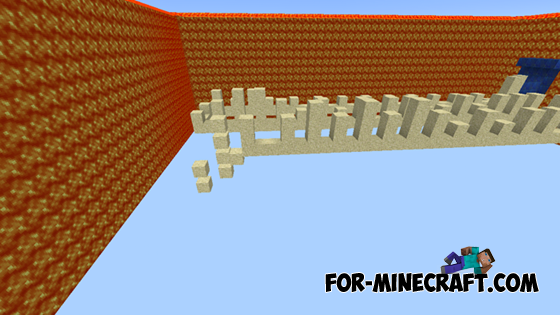 The map is composed of sand blocks that are floating in the sky. Whenever you go to the top of the sand block, it will be a second or two to fall down, so you have to be quick to get to the next block if you do not want to fall. 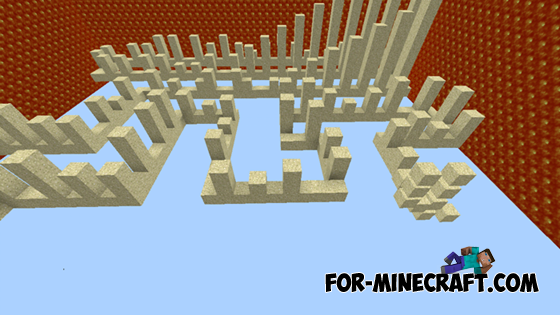 This, of course, complicated map with a unique type of parkour. 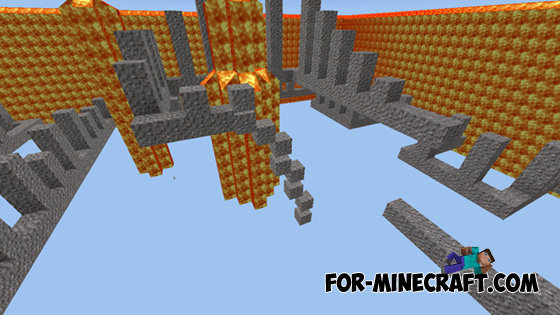 The main goal is to be faster than the laws of gravity and pass all five sections included in the map.